In keeping with Suquamish traditions, this event is held in the spring to celebrate the renewal and promise of the coming year. 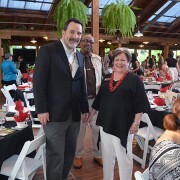 Attendees are treated to an elegant dinner at the historic Kiana Lodge along with presentations by storytellers, song & dance groups and a silent auction. Thank you to everyone who attended the 2016 Time to Gather. Click on the image above for photos from the event! A fall fashion showcase that celebrates the ingenuity, love and warrior voices of indigenous designers. 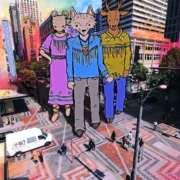 Many of these are women do not identify themselves as designers because when they create regalia, clothes, blankets and jewelry, it is most often because they are mothers, healers, sisters, friends, elders, grandmothers, mentors and culture carriers. 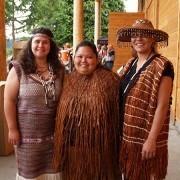 The Suquamish Foundation strives to shine a spotlight on them and their place in the indigenous story. Click on the image above for the Sovereign Style website! Sign up to give of your time and expertise by volunteering for one of our annual events or programs. 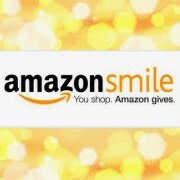 Make us your charity of choice on Amazon Smile and they will give Suquamish Foundation 0.5% of your purchases.